How often do we read books that change our lives? When’s the last time you’ve read a book that’s changed your mindset and outlook? We may read books all of the time, and they may be “good”, but how often are they ones that change us? How often do we read books that open our minds to something we haven’t known – or even considered – before opening the cover. 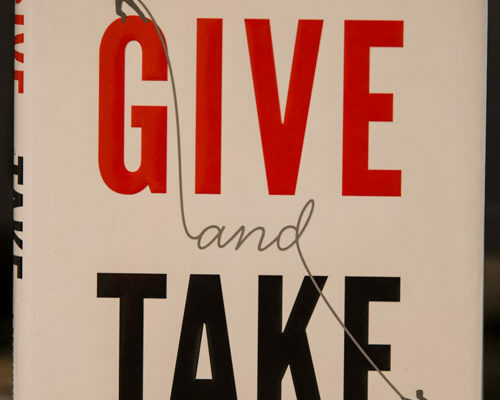 I just started reading Give and Take (thanks, Prime shipping!). It’s absolutely captivating. I’ve heard of Gary V’s “Jab, jab, right hook” metaphor, but GaT takes it to an academic level that really brings it home. There are three types of people: givers, takers, and makers. Givers give, takers take, and makers create quid pro quo agreements. I bet most people can figure out the story from here. If not, givers go the farthest in life. They give because they legitimately want to help people — they don’t do want reciprocation (that’s for the matchers). Takers take. They do everything out of self-interest (the author, Adam Grant, makes prominent use of Ken Lay as the quintessential taker); they end up scoring the lowest whenever applicable. Matchers conduct business with reciprocity in mind. They do something for someone expecting a favor later. This trio of people is something simple to comprehend, but have we really see it that way? Maybe it’s just me…? We probably go through our lives judging people by who they treat favors. The people who always give we probably think highly of because of their generosity (hopefully we don’t take advantage of that, though). Takers seem pretty obvious: fake people who ostensibly look after themselves first, and everyone else second. It’s the sort of thing that makes leads to self-awareness. What am I? Obviously, I would like to consider myself as a giver, but I can’t imagine that I am. Matcher? Probably more likely. I suppose it’s “in what mood am I, and who’s benefitting from my magnanimity.” I don’t know. Doesn’t matter. The past is the past. What we can do is think about what we’ve done and what we can do moving forward. Giving makes us “feel” better, and there’s data to back up how far those people go (Note: we can’t fake it because people will figure us out). 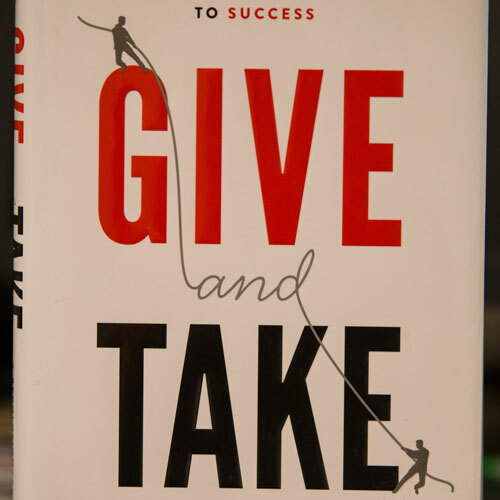 Why are books like Give and Take great? Because they’re interesting, teach us something, and make us want to change our lives. Most books can’t and don’t do that.